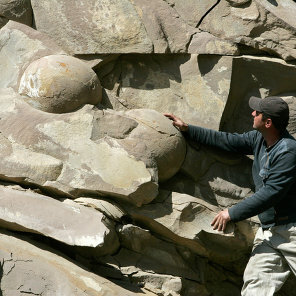 A man looks at what is believed to be fossilised dinosaur eggs at a site in Russia's volatile Chechnya region. 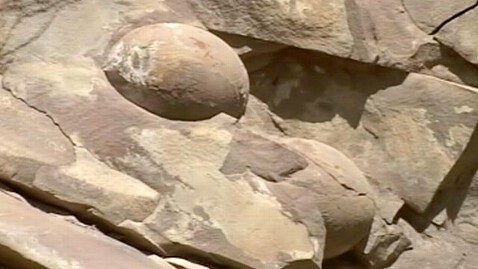 MOSCOW - Geologists in Russia's volatile Chechnya region have discovered what they believe to be fossilised dinosaur eggs laid by one of the huge extinct reptiles that roamed the Earth more than 60 million years ago. "We've found about 40 eggs so far, the exact number has not been established," said Dr Said-Emin Dzhabrailov, a geologist at the Chechen State University. 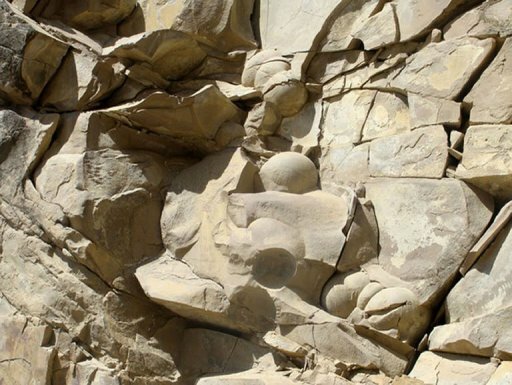 A team of geologists stumbled across the smooth, oval rock-like forms, which range from 25 centimetres to one metre coincidentally on a recent trip to the area, said Dr Dzhabrailov. 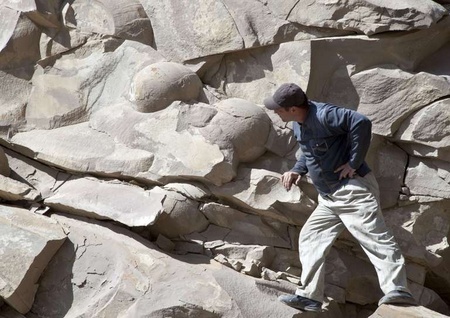 He said palaeontologists were needed to determine which species of dinosaur had laid them. 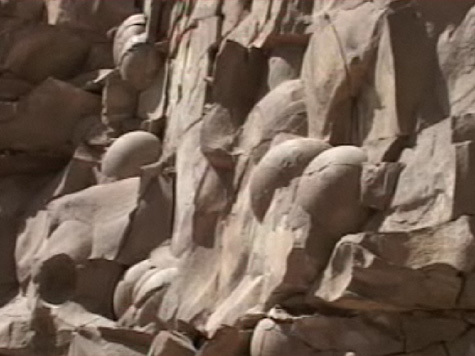 Dr Dzhabrailov said that the regional Chechen government, which is eager to shed the region's reputation for violence, is considering turning the area into a nature preserve and seeking to attract tourists.